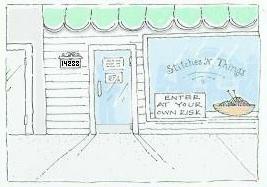 Welcome to"your neighborhood (since 1992) cross stitch shop"! 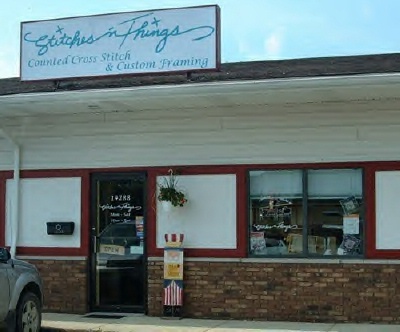 Welcome to Stitches N Things, a cross-stitch shop offering stitching supplies in Michigan. In addition to our online store, we have a brick and mortar needlework shop that we stock with the latest supplies in the stitching world. 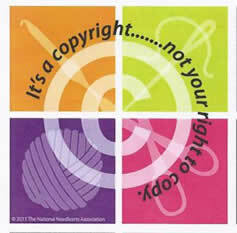 We carry items like the latest fibers and buttons used by your favorite designers. Here, you'll find the colors, types and sizes of fabric that you can't find at the chain stores; we'll conveniently custom cut fabric for you, too. 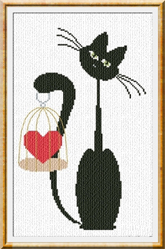 We specialize in Counted Cross Stitch, but we also offer Punch Needle, advanced counted thread technique charts, Needle Felting, and other quality products. Our custom mat cutting/carving & framing services will help you create projects to your exact wants and specifications. Our shopping cart catalog feature is a work in progress that we update with new products every day. Once you make your order, we ship it to you as quickly we can so you can continue your stitching project with little delay. We ship anywhere in the world and accept MasterCard, Visa, Discover Card and American Express, as well as PayPal, personal or cashier's checks, and money orders. Browse our catalog to find what you're looking for, and place your order today! If you have any questions about our products, please contact us. For those who live in the Michigan area, stop by our store and meet our friendly staff. Our dedicated team will be more than happy to help with whatever you need. For Your Browsing and Shopping Pleasure .. we have TWO Separate Catalogs for you to peruse .. our regular catalog here (with nearly 28000 items in it) and our SNT CLASSICS catalog here with over 2500 Sale, Hard To Find and OOP items at 50% OFF. When shopping our regular catalog, the SNT Classics SALE items will not appear AND when shopping our SNT Classics Catalgot, our regular catalog items will not appear .. there are two seperate search engines for your searching pleasure! Don't forget to sign up for our online newsletter to stay updated on what's happening at our store, including special stitching events, retreats, and camps! NOTE: Since we have not 'weighed every item in our catalog', when you place your order, a shipping charge is automatically "guesstimated" and added on to your order by our catalog system; sincce we charge shipping based on postal costs according to postal weight, in the vast majority of cases, this will be NOT be your actual shipping charge and that 'guesstimated 'shipping cost WILL BE REDUCED! Your CC is NOT charged automatically when you place your order - we will manually charge through to your CC when we are ready to ship your order! Plus, NO High & Crazy Handling Fees are Applied! Step Inside .. SEE The Shop! See What The Local Newspaper Had To Say About Stitches N Things! Use This Map -We're The STAR On It! So, HOW can we best assist you today?